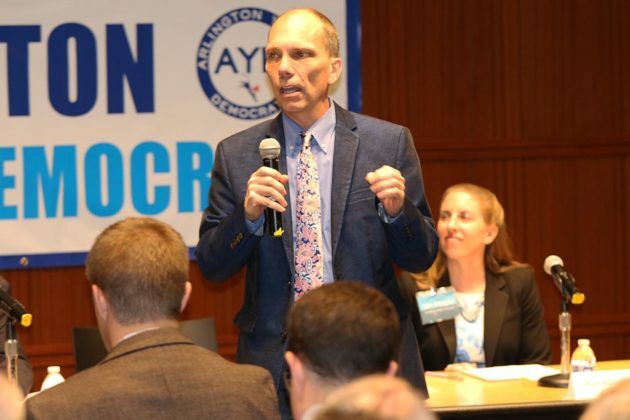 The four Democratic candidates for County Board may hold differing positions on a number of issues, but they agree on one thing: Arlington’s subsidy to lure Nestle might have been better spent elsewhere. 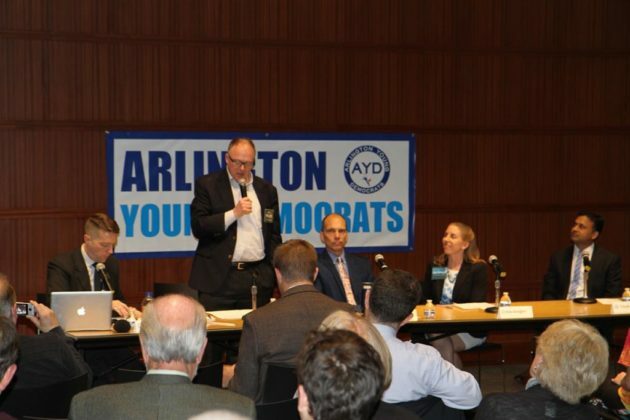 At a forum last night hosted by the Arlington Young Democrats, less than three weeks before the local party’s caucus, the four Democrats running for the Arlington County Board said the package of $12 million in state and local performance-based funds could have better served the local community. 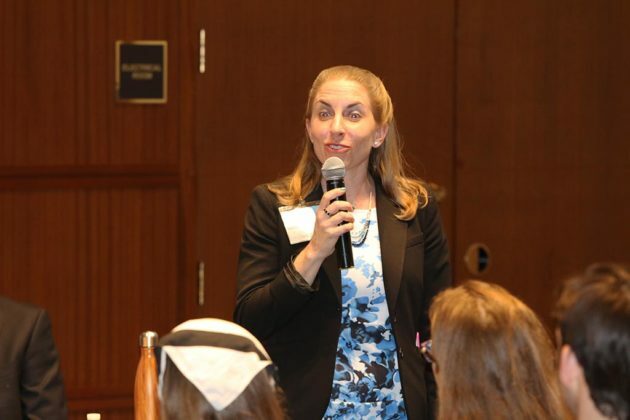 “This is good for Arlington, good for filling our office space, but I would rather have seen some of that money go towards child care in Crystal City and Rosslyn, for example,” said Erik Gutshall. “At the end of the day, we have to consider who is getting a subsidy and if they deserve it,” said Peter Fallon, who added that given the competition between jurisdictions for such moves, incentives can play a role in the right situations. 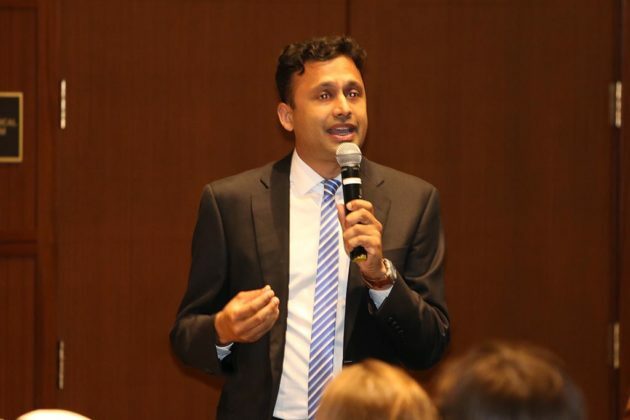 Both Kim Klingler and Vivek Patil drew a comparison to the small businesses throughout the county, and asked if they could have been assisted like multinational Nestle was, in particular through the building of a website showing all that Arlington has to offer. “If we can stand up a website for Nestle [employees that showcases the county] in three weeks, imagine what we can do for our small businesses in three weeks,” Klingler said. “That red carpet should be rolled out for small businesses and entrepreneurs,” Patil agreed. In addition to general questions about the county’s tax rate, business community and the environment, each candidate faced questions specific to their campaigns and backgrounds from moderator Michael Lee Pope, a reporter with Virginia Public Radio. Gutshall was asked if he is a so-called “party insider” due to the endorsements he has received from a slew of former County Board members and current chair Jay Fisette, who will retire at year’s end. “I think it speaks to the fact that I have worked alongside these people for a number of years,” Gutshall said. Fallon spoke about what he learned from his time on the planning commission and said that the county’s comprehensive planning at times has failed to keep up with the demand of county services. Patil reiterated his call for a “green and clean tech economy” to encourage innovation and new industries in the county. “There is no city or state that owns that right now,” he said. Following her run in 2012, Klingler said she was inspired to run again by the results of last year’s presidential election. 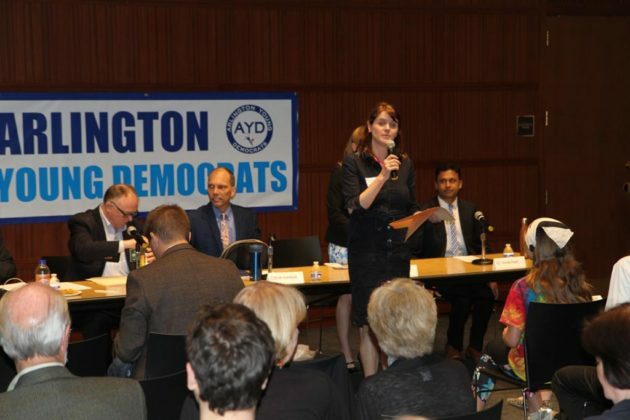 The candidates will be joined by independent Audrey Clement at a forum next Wednesday hosted by the Arlington Chamber of Commerce at Synetic Theater, then they will debate again the following Wednesday at ACDC’s monthly general meeting.